I'm officially the worst blogger in the history of Al Gore's internet. Really. At least I really haven't been baking much, though that seems like a pitiful excuse because in the end it's me who has to eat crap. But I'm reviewing another product right now. 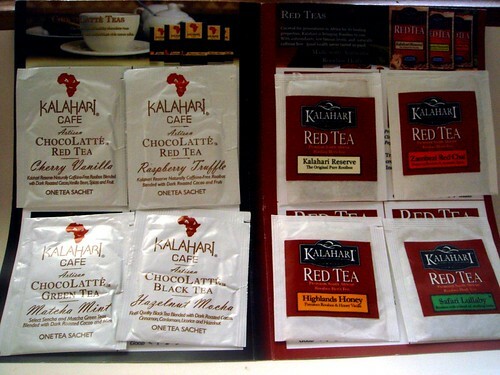 Kalahari Tea sent me their sampler pack consisting of all four varieties from their ChocoLatte line, and a selection from their red teas. If you remember from my previous review on the products I won, Kalahari teas primarily use rooibos, a South African plant. When dried, the leaves of the plant turn a shade of red that later on makes for a red cup of tea. Naturally caffeine free and full of flavor, this tea would make a great addition to your selection. My first taste from this sampler was the Matcha Mint. I was sick anyway and it seemed like a good choice. The green tea flavor, in my opinion, was rather light as the mint seemed to be the prominent flavor, but it was richer than any other mint tea I've tried, and I'm assuming that was from the roasted cacao's depth and smokiness. The Safari Lullaby was really soothing and now I wish I had gotten that as one of my selections back during the World Cup contest. 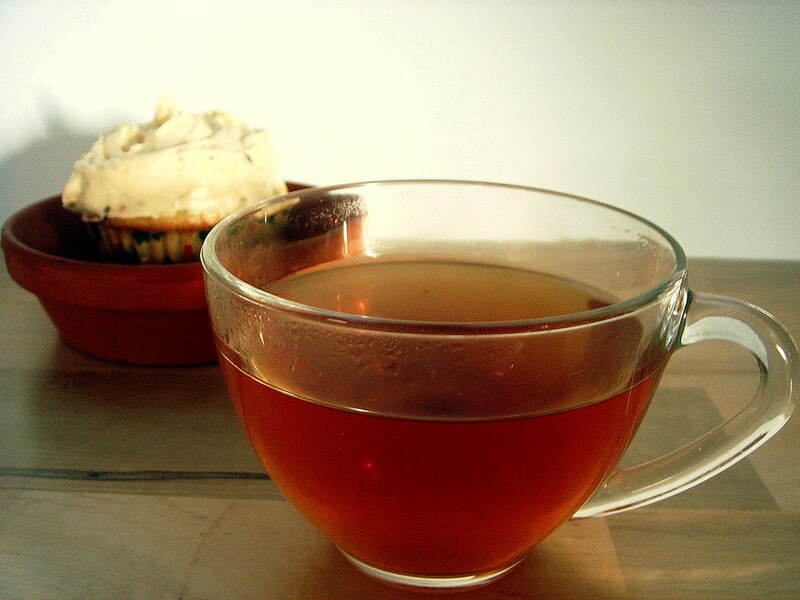 Imagine infusing a cup of milk with a tea consisting of rooibos, chamomile, spearmint, lemon grass, Valerian. If you don't fall asleep, then you're crazy! The flavor was so mellow and smooth and perfect to sip before bed. They also have a rooibos-chamomile tea that doesn't include the Valerian, too. Next try was the Kalahari Reserve, which is their basic rooibos tea. You really got a sense of the brightness of the rooibos here as it wasn't paired against another flavor. I tried the Zambezi Red Chai again (this was the first flavor I've ever tried) and once again fell in love with the blend of Indian spices paired with rooibos. Many chai teas are lacking in spiciness and depth, but here it's perfect and delicious. The scent from the Raspberry Truffle is amazing. I drank this with a bit of sugar and whole milk, just so you know. The raspberry flavor blends nicely with the roasted cacao, and the flavors linger on your tongue long after you finish taking a sip. It really does seem as if you just ate a raspberry truffle. The other flavors I haven't tasted yet (I have a strong aversion to hazelnut, unfortunately), but the Cherry Vanilla and Highlands Honey I reviewed previously. Again, I want to mention the genius of their ChocoLatte line. Their pairing of the ingredients is spot on and neither too rich nor too weak. 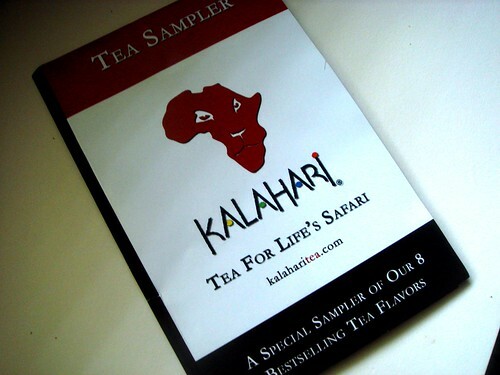 If you're new to the Kalahari Tea brand, I strongly urge you to try at least one flavor, and I hope my review of their sampler gave you a better feel for their teas. Sam from Oh Nuts informed me recently of a partnership with Oh Nuts and Warner Brothers to help promote the film, Life As We Know It. Part of the promotion is a sweepstakes sponsored by Oh Nuts. The winner receives tickets for four to the premier in Hollywood, CA, as well as airfare and hotel compensations. Click on the link and enter today! To enter, simply leave a comment telling me you'd like to enter the giveaway. You can even leave a funny baby story (as long as it has nothing to do with throwing up) if you'd like. For an additional entry, retwit this giveaway and leave a link to the twit. Good luck! Giveaway ends on Monday and is open to US residents. This is my own version of the miso vinaigrette I made last time. The difference is that it features the Bossa Nova juice more. It has a slightly different taste due to fresh lime juice and cilantro, and the miso taste is a bit more subdued. If you want to taste the miso more, add another tablespoon and check for flavoring. What I like about this version, besides having a higher proportion of the Bossa Nova acerola-mango juice, is the brightness of flavors from the lime, paired with garlic and cilantro. This vinaigrette isn't overly tangy thanks to honey, and is somewhat rich in texture instead of watery. I paired it with a simply tomato and fresh mozzarella salad that I let stand for 10 minutes before eating, allowing the flavors of the vinaigrette to meld with the salad. To finish I sprinkled with a sea salt, Palm Island Premium Black Lava Sea Salt. (I am in love with both this and their bamboo jade sea salt. I sprinkle it on cookies, cupcakes, eat it straight up. It's great stuff that adds a little boost of flavor to foods and pastries.) It's important to note that I didn't saturate the salad in dressing, but just poured enough to coat the salad. That's really all you need since anything more will just drip off anyway, and unless you have some nice bread to dip in the extra you'll either throw it out or slurp from the plate. 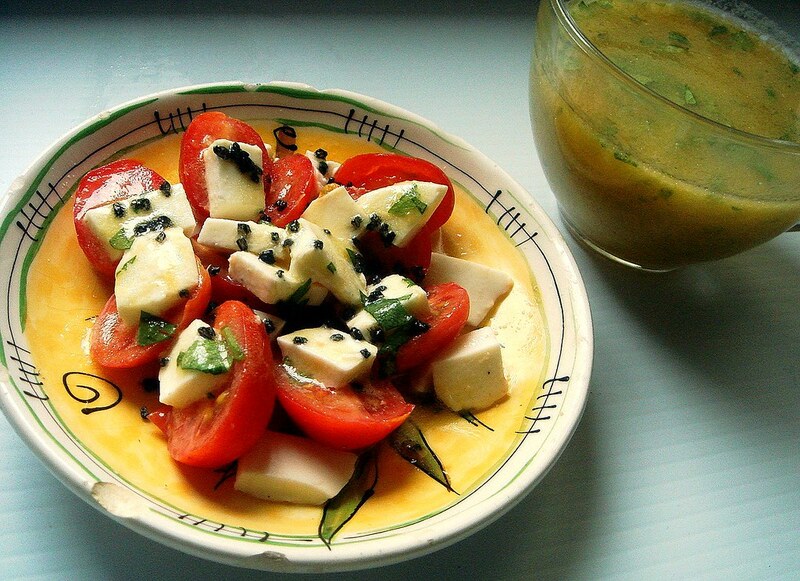 In a medium bowl, whisk together lime juice, Bossa Nova juice, miso, honey, garlic, and white pepper until blended. Slowly stream in olive oil, whisking constantly until blended and emulsified. Whisk in cilantro. These are some fantastic cupcakes, people. My inspiration for the mods to the recipes I used came from a new tea from Victorian Pantry. Steve, the owner, uses a unique, personalized blend of coffee that he has roasted just prior to shipping. He now offers a selection of specially blended teas that I decided to try. Obviously, I am using the coconut rooibos as the flavoring in the cupcakes. 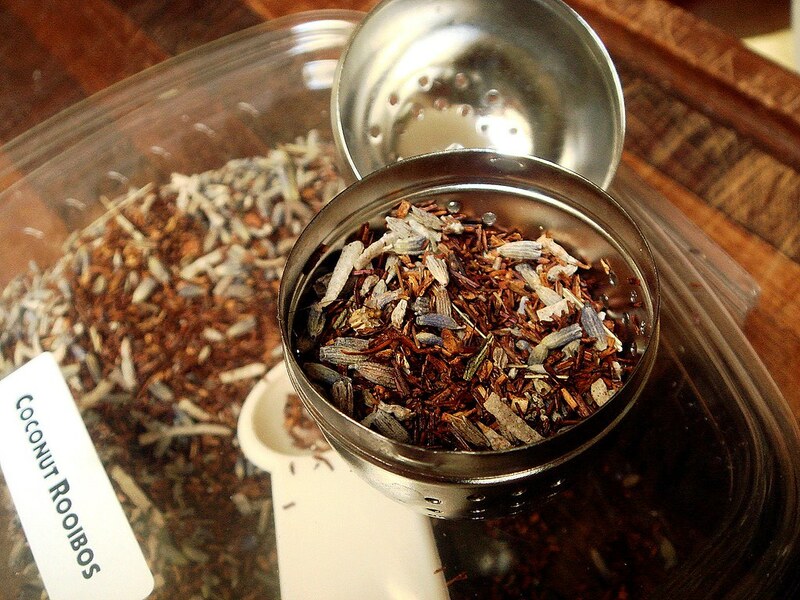 Rooibos is a South African red herbal tea and has a light, unique flavor. It also looks pretty, tinting the water red. Since it's herbal, it's also caffeine free. Coupled with coconut, how can you go wrong here? My only concern was getting the flavor from the tea to come through in the cupcake completely. 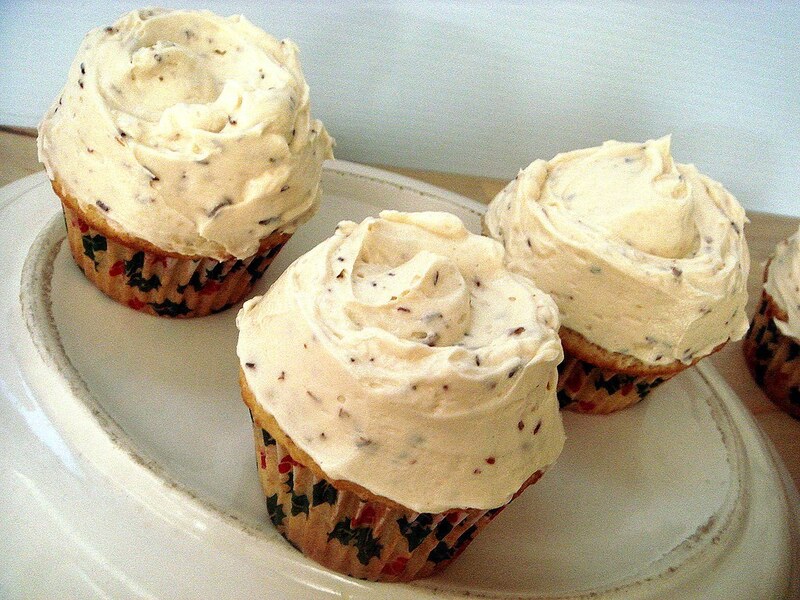 To do this, I decided to infused the liquid in the recipe (the milk in both the cupcakes and frosting) and let the milk for the cupcakes come back to room temperature. You may notice specks. 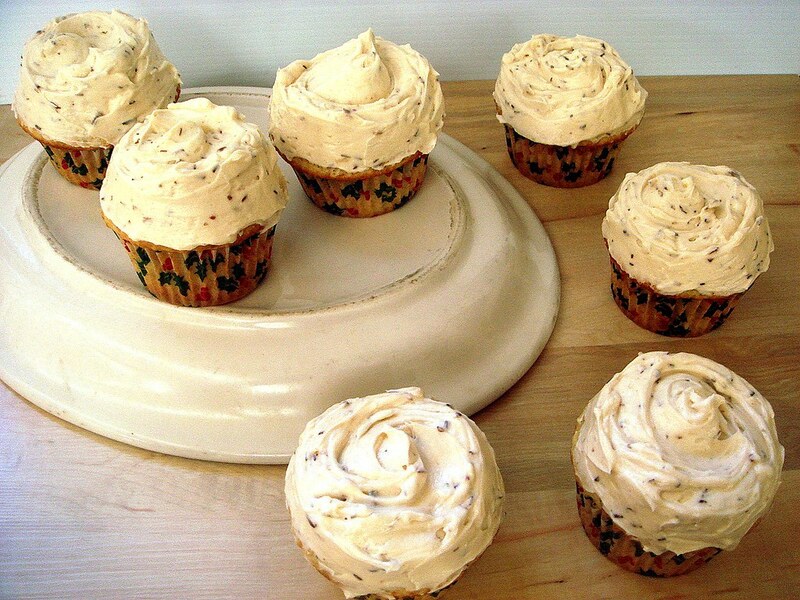 Specks in the frosting and specks in the cupcake itself. That's because I chose not to strain the tea leaves because I liked the look. There really is nothing wrong with eating the tea leaves (I already ate a cupcake and didn't die) and it looks pretty. For the cupcake, I chose a recipe from Joy of Baking for vanilla cupcakes. Unfortunately, the cupcakes were a little on the dry side. I kind of figured, using only 1/4 cup of milk, and I should have increased it to 1/2 a cup. Or I don't know, because it would have ruined the yield. Anyway, they rose nicely and had perfect domes. I added 1 1/2 teaspoons tea leaves to the milk after it had been scalded. The flour frosting I made is something many of you might think unusual. It's more like a Swiss meringue buttercream than a standard buttercream, though instead of an egg white-sugar mixture you make a quick pudding with flour, sugar, salt, and milk. To this mixture, right in the pot, I added 1 1/2 teaspoons tea leaves. Once the pudding mixture has cooled (I beat it for a bit, let it set, beat some more, etc. ), you add in all the butter and beat until the butter emulsifies into the pudding and thickens to a frosting. A few tips: This pudding only turns the texture of a paste. It won't be thick, but should still pass the spoon test. Make sure the butter is at room temperature -- a bit cool, but can easily be indented with your finger. If it's too soft, the frosting will be soft. My overall thoughts on this recipe is that it made a good amount for just 12 cupcakes with just a bit extra. It seemed less temperamental than a Swiss meringue buttercream, as you can add all the butter at once and I didn't have any issues with separation. I made a pastry cream frosting a while ago for the Hostess Orange Cupcake birthday cake and really liked it, though it's not quite as sturdy. Anyway, it's really easy and delicious. As for the tea itself, the flavor was light with a floral note, and had a smooth coconut essence. I felt it was enhanced by a bit of sweetener. The scent was incredible, and I have to say its one of my new favorite teas. Next time you want a dessert with a unique twist, get creative with the flavorings by adding different teas to the mix. Even if you aren't a big tea drinker, you will still appreciate how tea enhances baking. Bossa Nova recently sent me some of their juices to review. The concept here is using superfruits, acai, mangosteen, acerola, and goji berry. Lightly sweetened with agave, these juices contain all natural and organic ingredients that contain nutrients, antioxidants, and vitamins. 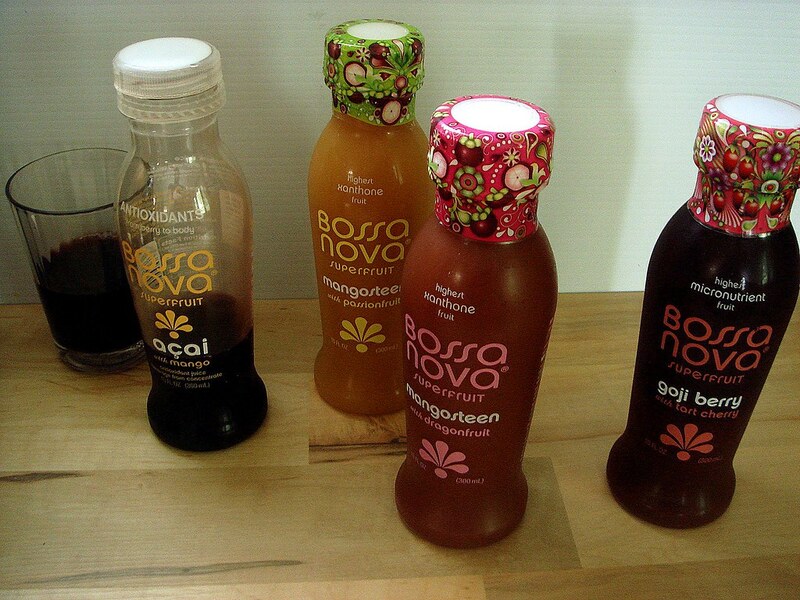 Bossa Nova offers a line of individual serving sizes a few different flavors (check the website to see them all). The goji berry with tart cherry was surprisingly pleasant with its smooth tartness. It was the least sweet of the four, but still very good. Both the mangosteen with passion fruit and mangosteen with dragon fruit were both slightly thicker in texture than the acai and goji berry. I really like the taste of the mangosteen with dragon fruit because it had a smooth, tropical flavor that I liked over the juice with passion fruit. As seen in the first picture, there is also a line of 32 ounce bottles of juice in three flavors. The juices were all delicious and I liked tasting the blends from different fruit combinations. 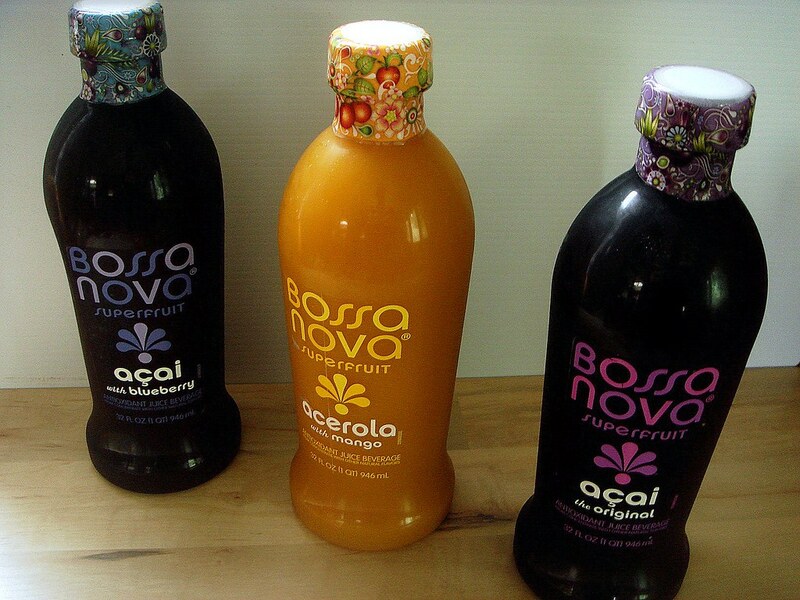 I'd definitely recommend looking for Bossa Nova juices in the store if you feel like grabbing something easy to consume and offers a sweet dose of healthy things to keep you feeling great. While these would make a great juice addition to the fridge, you can also use the juices to make recipes, from cocktails to fruit punches, granita, and more. I decided to mix the acerola with mango into a recipe for miso vinaigrette, and use it on top of stir fried eggplant. 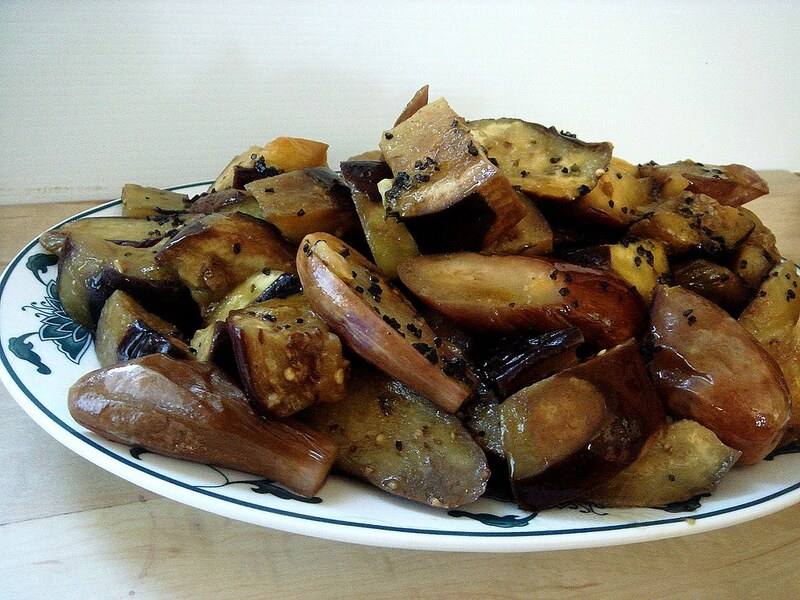 This is a really quick recipe to prepare, taking just around 15 minutes to cook the eggplant, though you'll need to prepare the vinaigrette first. I'll also be using the juices in another recipe, so stay tuned for that. 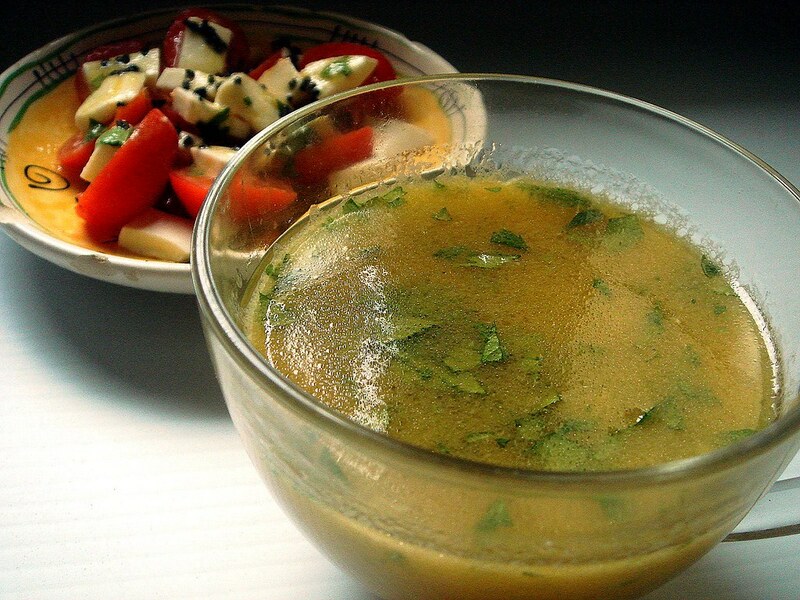 The miso vinaigrette is incredibly delicious and offers the benefits of miso in a light tasting, tangy dressing that can be used on salads, vegetables, to dip bread into, or even as a marinade. Whisk vinegar through parsley together in a medium bowl. Slowly drizzle in olive oil, whisking quickly, until combined and mixture is emulsified. Set aside. Heat oil on medium-high heat in a large skillet with ginger for about 2 minutes, stirring the ginger so it won't stick to the bottom. Add eggplant and garlic, stirring to coat in oil. Season lightly with salt and pepper. Stir fry for 2 minutes, stirring constantly. Lower heat to medium and pour in 1/2 cup vinaigrette. Stir to coat, then cover and let cook for 8-10 minutes, stirring occasionally, until eggplant is softened but not mushy. Remove to a serving dish and drizzle with more vinaigrette if desired.